Welcome to Sicily, come on in the water’s just fine. 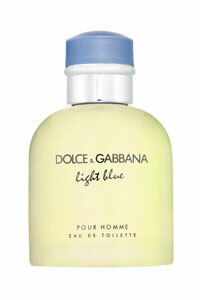 Light Blue for Men by Dolce and Gabbana truly captures the luxurious and lavish Mediterranean way of life. Built around a powerful combination of classic citrus and modern spice with notes of Sicilian citron, jasmine, bluebells, bamboo, amber and cedar creating a masculine and sophisticated scent. Refreshing and irresistible embodying the endless blue skies and sunshine of the Mediterranean.